Derrick Malik Rhodes was born on December 22, 1996, in Walterboro, SC to Asperita Rhodes-White. He departed this life on April 1, 2019, in Colleton County, South Carolina. He was preceded in death by his grandfather, Matthew Rhodes, Sr., who was like a father to him and his stepfather, Troy White. 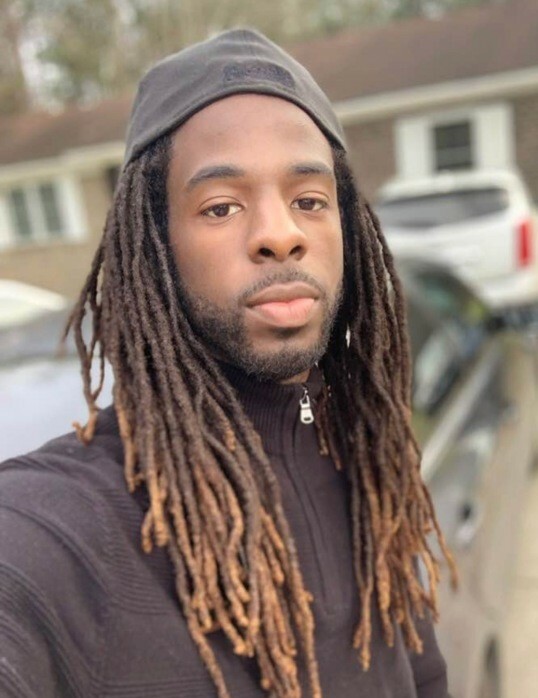 “Malik” as he was called by his family and friends, graduated from Colleton County High School in 2015. He was employed part time with Grant Construction working with Shaun Grant who was like a father to him throughout his childhood. Malik was a quiet young man. Most of the time you did not know he was in the room if you didn’t see him. He was always observant and watching in the background. Malik was a good son who wanted to step up and help his mother with his younger siblings after the passing of his stepfather, Troy White, 3 months ago. He knew as the oldest man in the house, he wanted to provide for his family. Malik was well mannered and very respectful. He was an awesome father as he always fulfilled his duty as a father to his twin sons. They were the apples of his eyes. Malik loved sport cars and riding his motorcycle. He enjoyed spending time with his friends. Malik’s friends were an extension of his family and were more than friends but considered themselves brothers. They were always there for each other no matter what. Malik was blessed with a lot of loving women in his life. He loved his grandmother Sandra. Being her oldest grandchild was something that he was proud of. Malik spent a lot of time with his aunt Shanika who was more like a second mother to him. As a toddler, wherever she went, he was right there with her. Malik leaves to cherish his memories: his loving mother, Asperita Rhodes-White of Walterboro, SC; his sons, Kyrie Rhodes and Kason Rhodes with their mother Kynasia Richardson of Walterboro, SC; four brothers from his mother, Dashaun Rhodes, DaReginald Rhodes, Daquan Grant and Christian White all of the home; four siblings from his father, Jazmine Neals of St. Matthews, SC, Derricka Neals, Dareeka Neals, Derrick Neals, Jr., all of Orangeburg; three cousins he considered his siblings, Sarai Frasier, Jared Frasier, and RyLee Frasier all of Walterboro, SC; grandmother, Sandra Rhodes of Walterboro, SC; one aunt, Shanika Rhodes of Walterboro, SC; one uncle, Matthew Rhodes, Jr. of Walterboro, SC; four cousins, Kwasi Kirkland, Isaiah Rhodes, Sandra “Sandy” Rhodes and Damion Rhodes; a special cousin that he grew up with like a brother, Rodney Helton; special friends, Sarkisian Levine, Victor Jenkins, Jr., Denzil Chapman, Josh Roberts, and Kendrell Singleton; along with a host of cousins, aunts, uncles, and friends.